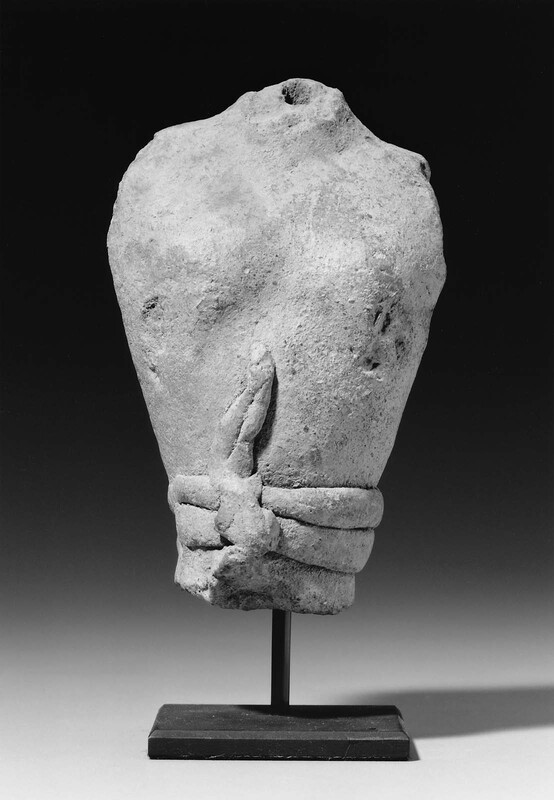 Torso of a Minoan male athlete or warrior; chest tapers to slim waist, tightly wrapped in a cord belt that snakes up front and back of mid-section. 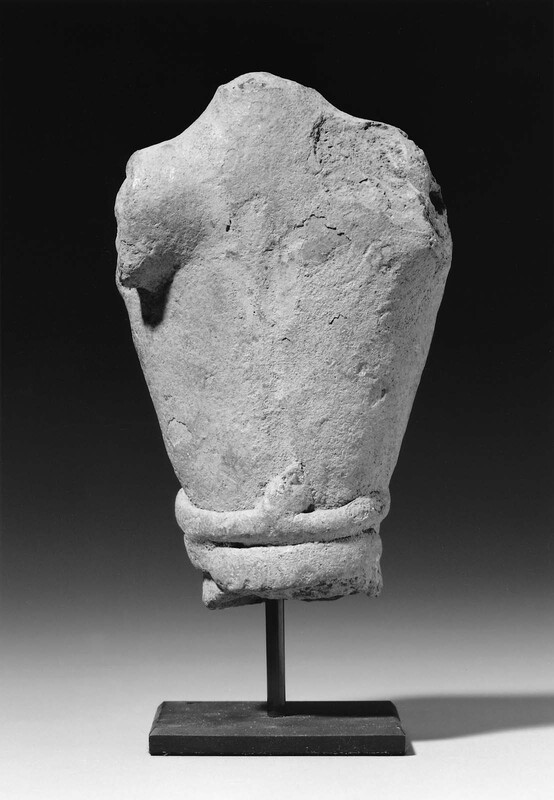 A diagonal strip, now broken, was affixed to the belt’s front, representing a sheath and dagger. Break at right shoulder extends to back.